Calling all Classic Car Fanatics! Are you a Classic Car fanatic? Consider a trip to Auburn, IN to visit a plethora of classic car museums, all less than 5 miles from newly-renovated Red Roof Inn Auburn! The Auburn Cord Duesenberg Automobile Museum offers over 120 cars on exhibit on three levels, nine automotive themed galleries that allow the visitor to experience everything from classic cars to racing and engineering themed exhibits and the original Auburn Automobile Company showroom! Experience the era that opened the door for streamlining and other sleek automobile designs at the Auburn Cord Duesenberg Automobile Museum along with their other galleries and exhibitions. The National Auto & Truck Museum has two of the Walter P. Chrysler Museum concept vehicles on display at any given time with the collection rotating every three months. Stop in and see what is on display! Or check out their Pedal Car, Toy and Model Museum or Sidney & Belva Meyer Research & Archival Library Center to learn even more! Early Ford V-8 Foundation Museum is not your typical museum. Featuring Flathead V-8 engines, transmissions, rear axles (many of them “cut-a-way” models showing the inner workings); two complete Ford V-8 Chassis: a 1940 Mercury and a running 1932, see stunning classic cars from all angles! One of the best stops for all ages in the Midwest is the one-of-a-kind car exhibits at the Kruse Automotive and Carriage Museum featuring a variety of vehicles showcased for the enjoyment of all ages. From antique carriages to aerodynamic race cars, there is something for everyone. Exclusively, at the Automotive & Carriage Museum, you can enjoy famous cars and vehicles in their “Carl Casper Collection.” Featuring one of the world’s finest collections of custom hot rods created and engineered by Carl Casper. See the Batmobile coupled with the theatrical set as well as the memorable General Lee from The Dukes of Hazzard. Also among the famous cars is KITT from Knight Rider and more. Ready to plan your trip? 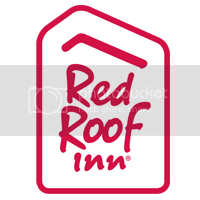 Make sure to book your stay at Red Roof Inn Auburn, less than 5 miles away! Seniors, Save 15% All September!